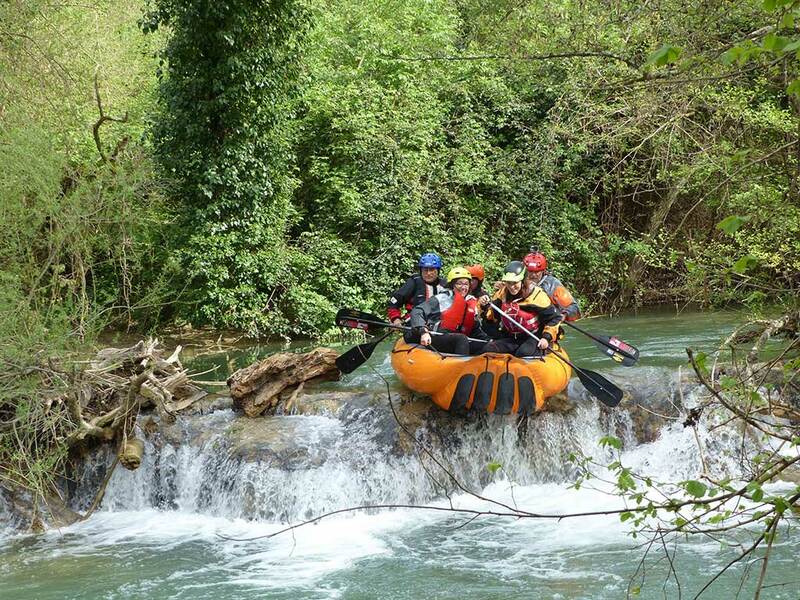 Route: naturalistic-exploratory rafting. No particular difficulties. Sense of teamwork needed, and one will have to enter the water with the rubber dinghy to avoid the natural obstacles made from the river’s natural concretions. 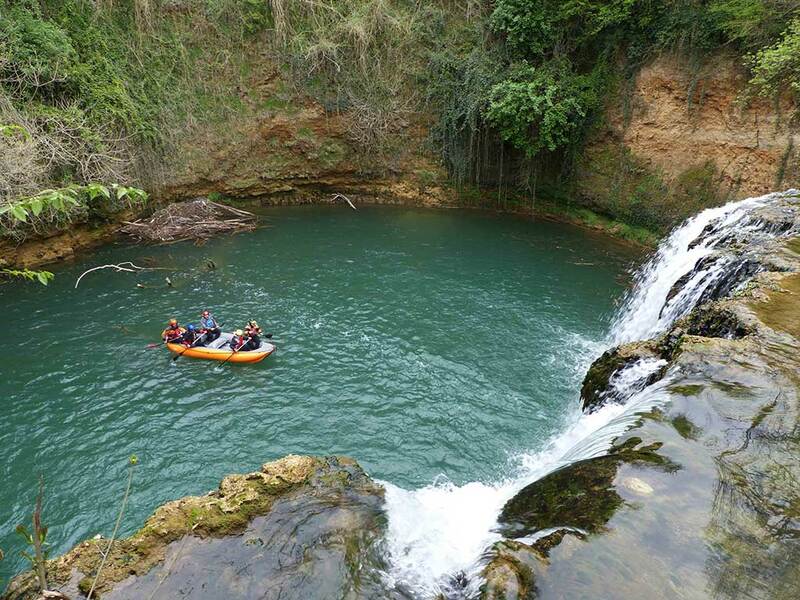 Highlights: The Diborrato waterfall where it is said that during World War II a tank fell, the typical calcareous concretions, the dense vegetation, the blue and crystalline waters. Motto: explorers for a day! Buy your rafting descent. You will be able to add the number of people directly on PayPal. 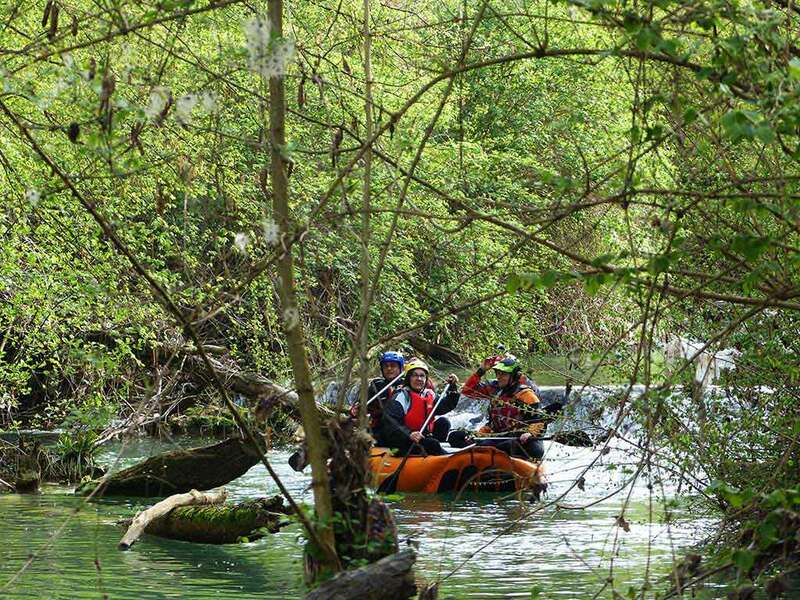 A route to discover the Elsa River Fluvial Park near Colle Val d’Elsa. 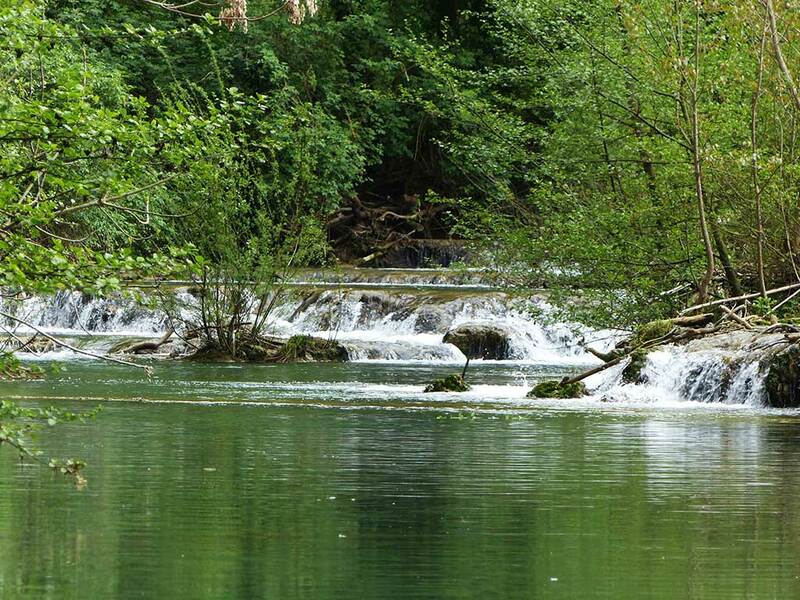 The Elsa river was born on the slopes of the Montagnola Senese but the real “secret” of this river is the contribution of crystalline resurgence waters in the locality “Le Vene” and of thermal waters in the locality “Le Caldane”. The route begins at the foot of the beautiful Diborrato waterfall and then continues running parallel to the Sentierelsa. A few meters from this but completely immersed in another dimension a river corridor full of vegetation that is more reminiscent of an Amazon forest than a local river. 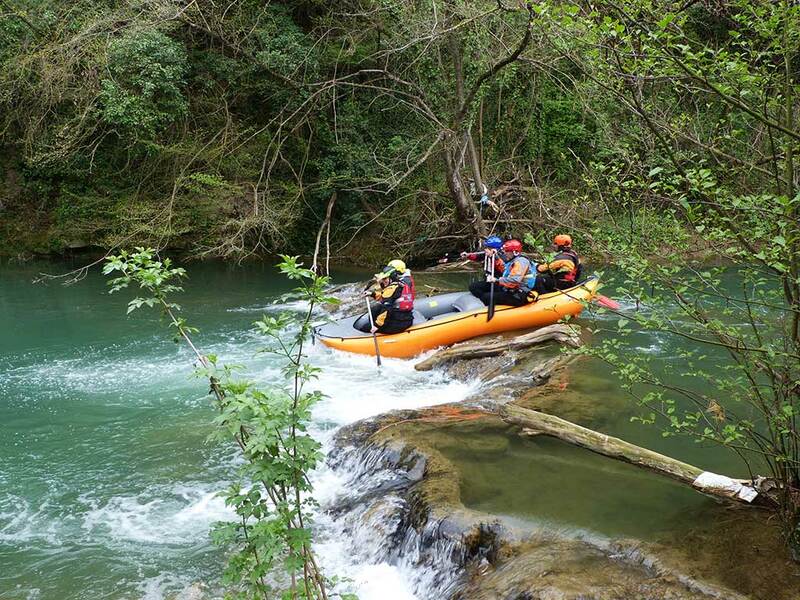 The rafting rubber dinghy becomes the only possible “team vehicle” for discovering a stream from the inside. 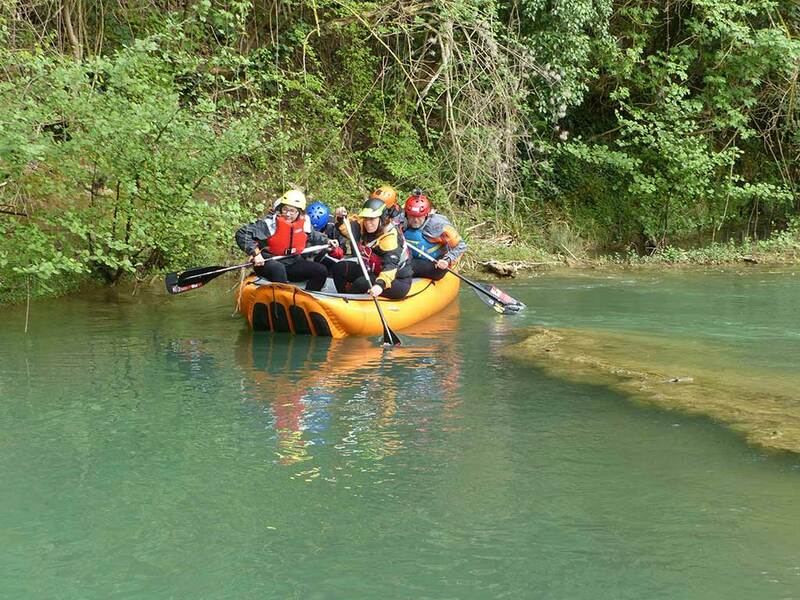 The crew must move like a small group of explorers, ready to overcome obstacles (limestone tanks of the Elsa) working as a team, immersed waist deep in its crystal-clear waters, helping each other in the transhipment of the raft!